The Great Rootes Group Empire started with a small cycle shop in Kent. It is from this humble beginning that the Rootes Group grew to become one of the biggest and most successful British car companies. William Rootes had two sons named William Edward and Reginald. When his sons were about 16, he had added a motor agency to his bicycle shop. Neither of his sons initially were interested in joining the family business. William Edward started his career as a pupil at Singer Motors Ltd. Reginald worked as a civil servant at the Admiralty. They eventually talked about going into partnership to re-establish the car sales firm of Rootes Ltd. In 1919 Reginald joined his brother at Maidstone where the beginnings of the Rootes Group took place. By 1926 the company acquired some offices and showrooms at Devonshire house in Picadilly, London and shortly afterwards acquired other branches in various parts of England and became the largest motor distributor in Europe. During this period when Rootes went through a growth spurt, the recession took its toll on other car companies.  During this time companies such as the Hillman Car Co, Humber Ltd (including Commer) were taken over by Rootes. They were fledgling companies with dated manufacturing plants and production methods. However Rootes successfully revamped these companies and turned their existing product lines into modern, quality competitive products. 1931 saw the launch of the Hillman Wizard, which was aimed at the world market. Then shortly afterwards the highly successful Hillman Minx was launched. This car became one of the main cash cows for Rootes for the next four decades. In 1935 Rootes acquired Karrier Motors, then Clement Talbot in 1937, as well as British Light Steel Pressings. They also acquired Sunbeam Motor Company in 1938. Sunbeam specialised in high performance sports cars at the time. The Rootes Group had a tradition of making sure that each marque they had acquired from the ailing car companies did not lose their identity. Cars such as the quality Hillman Minx, luxurious Humber Snipe, Sunbeam Talbot, etc. all had their own distinctive personality and styling despite being owned by the same company. However all these marques shared one thing in common, and that was quality. Every car the Rootes group produced was a quality product that was built to last, and many of these cars represented excellent value for money in comparison to competitor offerings. 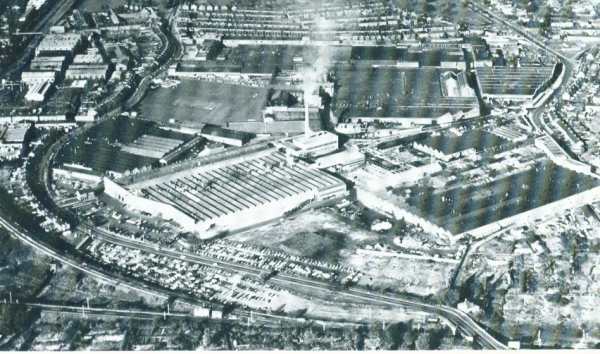 During the Second world war, the Coventry factory was set up to cater for the war effort (World War II). They manufactured purpose built military vehicles and also performed repairs to them as well. This work also included the manufacture of some aircraft and aircraft engines! They also repaired the engines of aircraft that had been damaged in battle. After the Second World War, the Rootes Group turned its attention to expanding its export base further and established more assembly plants in Australia and other important market areas. In the 1950's, Rootes turned their attention to the USA. This started with William Rootes organising a British Motor show in the USA, which was their first ever. Consequently the interest in Rootes Group vehicles and other British cars was on the rise. Initially sales were slow at first, since one could buy a Chevrolet for roughly the same money as a Hillman Minx. Although the Chevrolet would have been much less fuel efficient, the Americans were used to their local product. The Hillman was also falsely perceived to be underpowered. Although as far as fuel economy was concerned they were ahead of their time in a period when petrol was very cheap and fuel economy was not such an issue to the average motorist. However the mid fifties to the early sixties saw their revenue from sales in the USA almost double to approximately 300 million dollars annually. Sadly however, the slow demise of the Rootes Group started to take place in 1959 that was started by a workers strike. These strikes continued over the next couple of years into 1961. British Light Steel Pressings in Acton, London. By the time the strike was resolved late in 1961 Rootes was already irreparably damaged financially at a time when they needed to boost profits to inject money into the new factory that was being set up in Linwood, Scotland to manufacture the then new Hillman Imp, a miniature car that was a competitor to the popular Morris / Leyland Mini. up till January in 1967 when they increased their stake to 77 percent of total company shares. However in the late 1960's to early 1970's the Rootes Group continued to have financial problems, unable to recoup the finances that they lost due to lost man hours caused by the strike that happened over a decade ago. Eventually the Rootes Group was sold for a ridiculous $1.00 US to Peugeot.